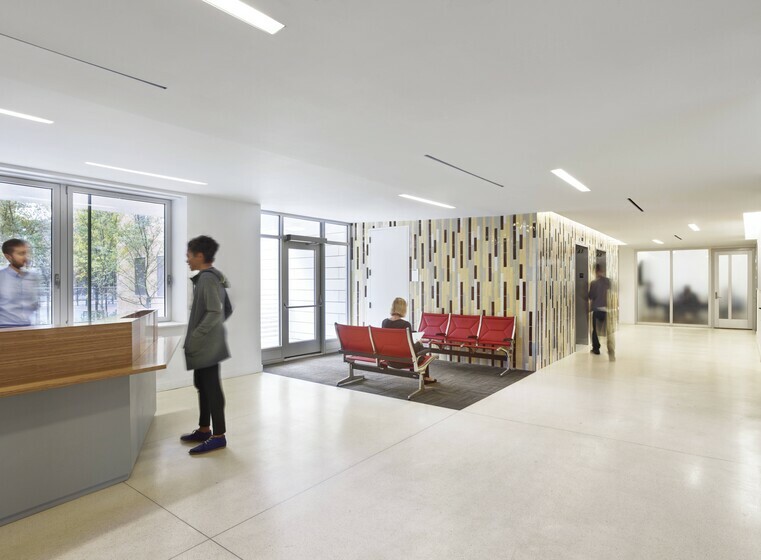 This extensive renovation and extension of a 1960’s building is one of Atelier Ten’s first New York City High Performance Building Program pilot projects. This extensive renovation of the interior spaces of the Department of Health includes a rooftop extension, a complete façade refurbishment, and an upgrade of the landscaping. The upgrade of the lighting system was a key component of the overall environmental strategy. Atelier Ten designed a lighting scheme with high- efficacy, long-life light sources paired with high efficiency luminaires, which greatly contribute to the overall energy savings and low maintenance cost of the lighting system. 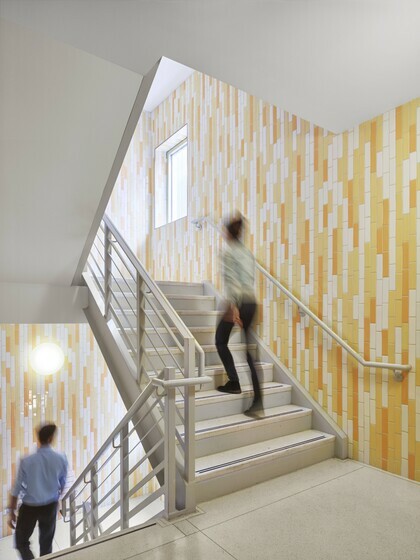 To encourage users to take the stairs, upgraded lighting and finishes in the stairwells were carefully designed to make a typically utilitarian space feel inviting. Careful consideration of light sources provided the high color rendering required for critical food and health demonstrations while maintaining efficiency standards. 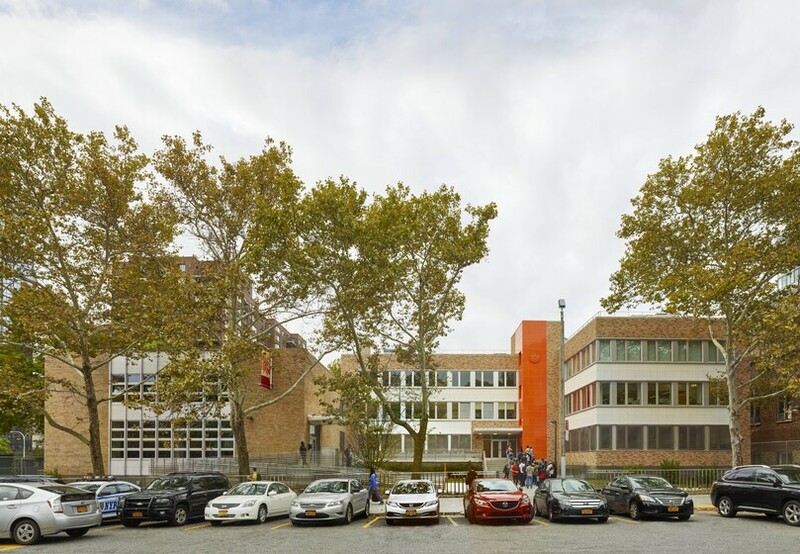 Key project goals also included the upgrade of all systems to achieve a minimum LEED Silver Rating and to meet the requirements of Local Law 86, as well as meeting NYC preservation goals.